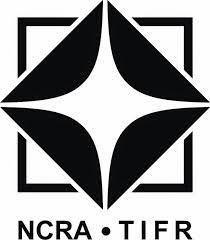 About Organization: The National Centre for Radio Astrophysics (NCRA) of the Tata Institute of Fundamental Research (TIFR) has an active research program in many areas of Astronomy and Astrophysics, which includes studies of the Sun, interplanetary scintillations, pulsars, the Interstellar medium, active galaxies and cosmology. NCRA also provides exciting opportunities and challenges in engineering fields such as Analog and Digital Electronics, Signal Processing, Antenna Design, Communication and Software Development. How to Apply: Eligible candidates can apply online through website www.ncra.tifr.res.in on or before 06-06-2014. Those who cannot apply online, can submit hard copy in the prescribed format, in a sealed cover super-scribing the post applied for on the envelope to the Administrative Officer, NCRA-TIFR, Post Bag 3, Ganeshkhind, Pune University Campus, Pune 41100 on or before 06-06-2014.